Prepared for your interview? Well, what if you’re not meeting one recruiter but an entire panel? Read on for a few smart tips to ace your next panel interview. Try to find out who will be a part of the interview panel. Most HRs would be willing to disclose this information and it will be helpful to know who you would be meeting. Make sure you look up about them on LinkedIn or the company website as being familiar will help reduce the anxiousness. Address each member during your conversation. This not only speaks of your confidence level but also lets the interviewer know that you have done your homework well. You might find a friendly face in between everyone but do not focus or address only that one person as it can be taken as a sign of disrespect by others. Think before you answer. In this type of interview format, you will be asked much more questions than you expected. Talking too fast will come across as a sign of nervousness so don’t rush and try to control your pace while answering. Also, do not leave your answers midway. If you’re being cross-questioned, then politely take permission to complete your response before you move on to the next. Prepare for a list of possible questions as part of your preparation for the interview. This would boost your self-esteem and would also reduce of any anxiety that might be bubbling within you with respect to the kind of questions that could be asked during the interview. With people from different fields sitting in for the interview, there is a higher possibility of them asking questions that are broader in nature. So, try to research about the organization and aspects that go beyond your role. It is important that you have confidence in your skills and preparation when you sit for the interview. Don’t let the number of people sitting in front of you make you nervous. Maintain your composure and answer the best you can. If there are any questions that you would have, do not hesitate to ask them or keep them for later. 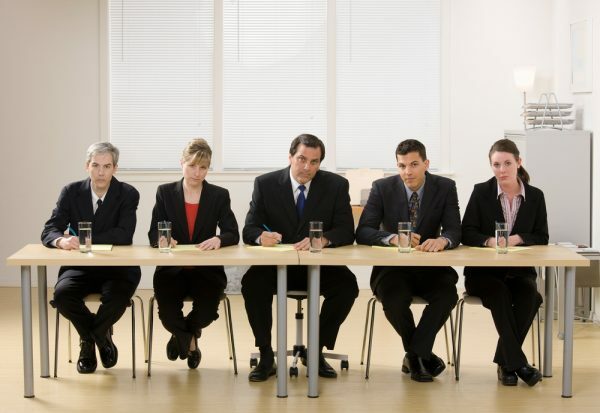 Keep these tips in mind and you will surely ace your next panel interview. Liked the post? Comment and let us know. You Get Paid Rs. 30,000 An Hour. Which Career Would You Still Say No To? Winter Internships in 2017- How To Win Winternships Tis’ Season?